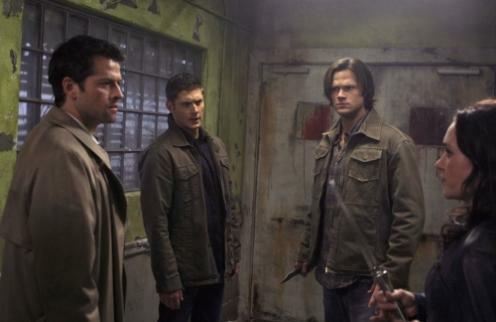 Just how will Meg and Death interact with the Winchester brothers? What can viewers expect from this CW hit before it goes on hiatus until 2011? Read on for some answers. They'll help her track down Crowley... as long as she tortures him for information. Then, on the December 10 episode (titled "Appointment in Samarra"), Dean will make his own deal. With Death. Portrayed again by Julian Richings, Death will tell Dean that he can help get Sam's soul back - as long as Dean spends a day in his job. But does Sam even want his soul back? No. While his brother will be making a major sacrifice this week, Sam will be seeking out Balthazar in order to receive a spell that would permanently keep his soul out of his body. Such a spell will require the blood of Sam's late father, however. Who will Sam decide is the next best option? Sorry, Bobby. That's a lot to digest, Supernatural fans. Before the year is through, it sounds like these brothers will square off over their conflicting agendas. What will happen then? Tune in. Find out.